With the 37 original pieces, be prepared for a journey into the beautiful simplicity of a variety of musical styles, ranging from South American to Celtic, with trips to Italy, Greece and Spain in between. For the teacher of emerging students, this book solves the problem of producing repertoire that is at once interesting and accessible. The accompanying CD provides an invaluable aid to learning for these students. For the intermediate player, this book provides important experience in sight-reading uncomplicated but appealing music. 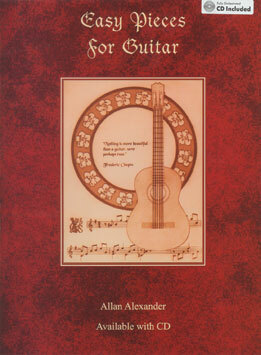 The book also provides fascinating text that is interspersed with valuable musical secrets that Allan has discovered in his lifelong devotion to the guitar. Audio CD included.